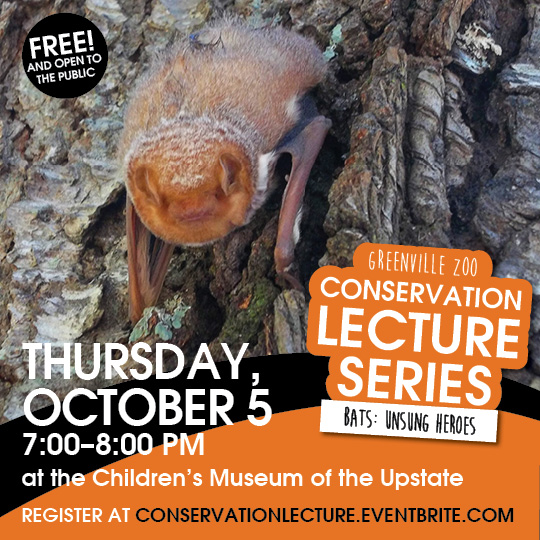 Guest speaker, Jennifer Kindel, bat biologist with South Carolina Department of Resources will be speaking on the important role that bats play in our ecosystem. Though 14 species of bats in our state play an important role in our ecosystem and economy, they are often an unsung hero in our culture. Hear as they debunk myths about these mysterious and fascinating creatures, and learn how a world without bats would be scary indeed! Hear about the exciting research South Carolina Department of Resources and others are doing on bats.